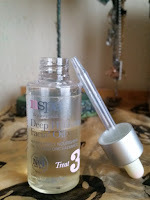 Having used this product for sometime and seen a benefit with my skin. I thought to myself, i must Blog about it! 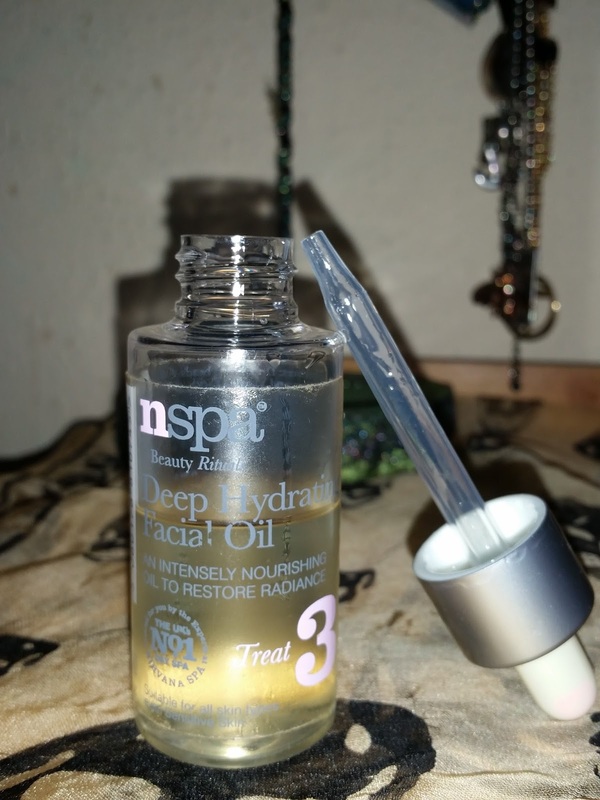 I have had the NSPA Deep Hydrating Facial Oil for quite sometime and seen many benefits to my skin from this skin loving oil. I remember on the off chance i came across this 50ml bottle when i was having some trouble with my skin. My skin was lacking a glow and also was very dry thanks to a harsh winter and central heating. I thought to myself what have i got to lose so purchased this in a instant. I'm glad i did as my skin not only returned to its normal happy self but i also saw improvements in skin texture and it appeared more plump. This nourishing oil replenishes skin and provides lasting rejuvenation. A,D,E and F helps improve skin elasticity. the jojoba and avocado oils rehydrate and care for the skin. This has a lovely light fragrance which compliments this lovely oil. Press gently but firmly into skin until absorbed. What is also great about this product is that u get a dropper to dispense the product, to know just how much u might need. 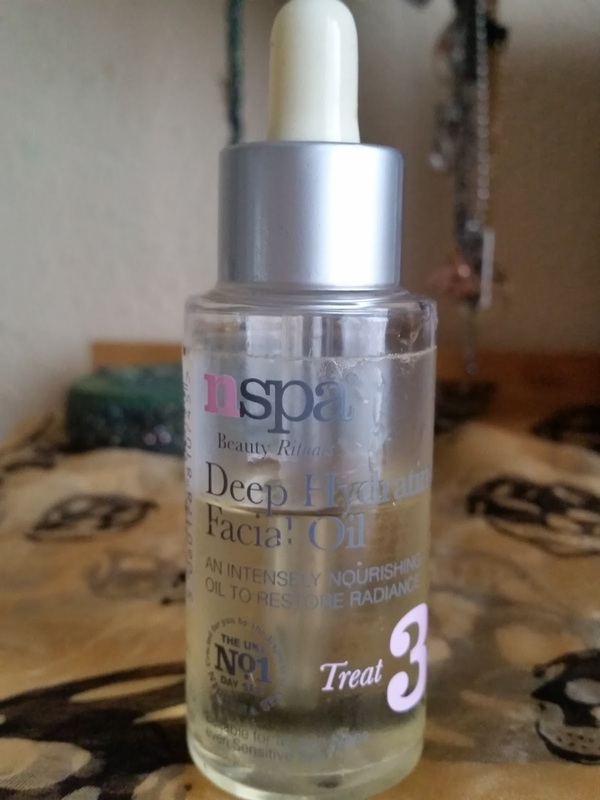 Also this is part of a steps skincare to use with other NSPA products and the NSPA Deep Hydrating Facial Oil is number 3. I have only used this product in there range and i have seen benefits, so if you are on a budget then just buying one product at a time from there range is OK to do. I found with my own experience that i have used this product many ways and still seen benefits with my skin. You can use this before moisturising in the morning. 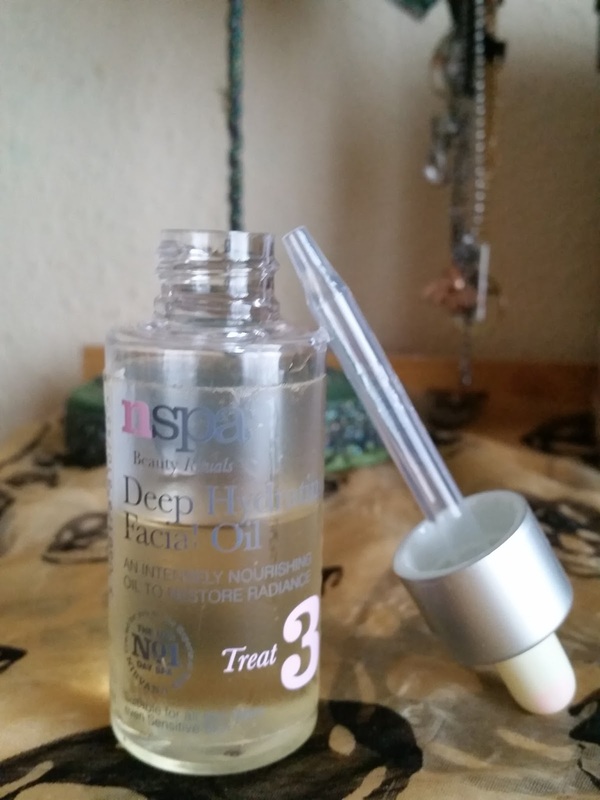 This facial oil absorbs really well so don't be scared to use it in the morning as you wont be looking super super shiny. You can also use this as deep moisturising treatment at night after you have cleansed. Apply all over face and if there is excessive product, just wipe off with a cotton pad. 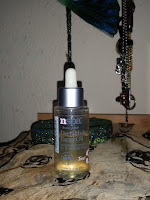 NSPA Deep Hydrating Facial Oil hasn't broken me out but the total opposite, my acne was truly gone! I know some people can be wary about putting oil on there face but this truly is a skin loving oil! I will place the link for you to check out and a video on my video of the day for more info. Have you tried a facial oil? ?